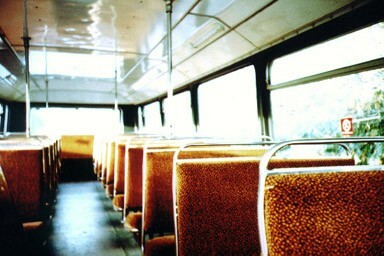 This week's lone addition to the Manchester blogroll is I Wanna Ride The Bus! by GM Traveller, a shadowy figure who started the blog that(s)he describes as "dedicated to my goings to and from work in Manchester, and maybe the usual something else in between." As you'd expect, there's lots about particular bus journeys, and discussion of routes, including a lengthy exploration of why the new Shudehill bus station is so woefully underused. But there's also a nice post about the comparative merits of the different markets in the towns around Manchester. GM Traveller's inspirations include The Station Log Book, the musings of a stationmaster on the London Underground.